Gardening with the Masters is a long standing monthly lecture series , presented by the SCMG. 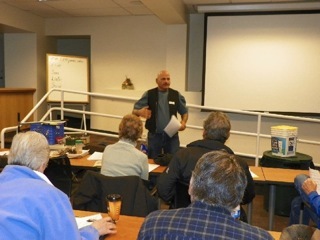 Master gardeners and other invited experts offer useful horticultural presentations for the high desert home gardener. The lectures are free and open to the public. No regeneration is required. The current schedule of lectures is posted on the SCMG calendar. Gardening with the Masters lectures are on first Tuesdays of the month 7PM – 8:45 PM at the Meadowlark Senior Center, 4330 Meadowlark Lane, SE, Rio Rancho, 87124. Volunteers should arrive at 6:45 PM.